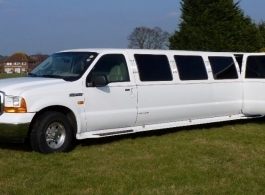 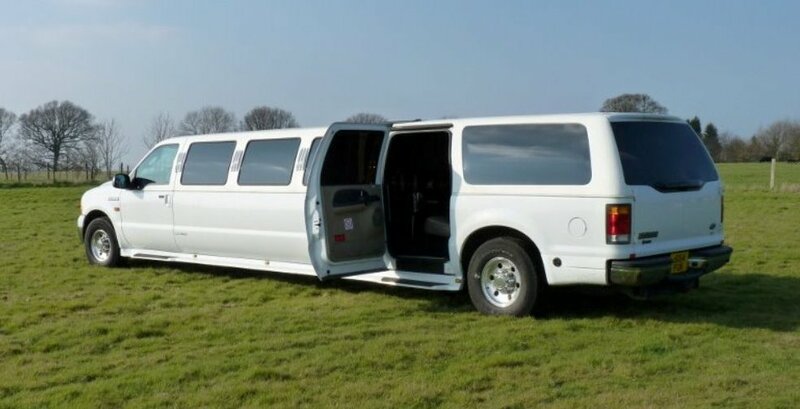 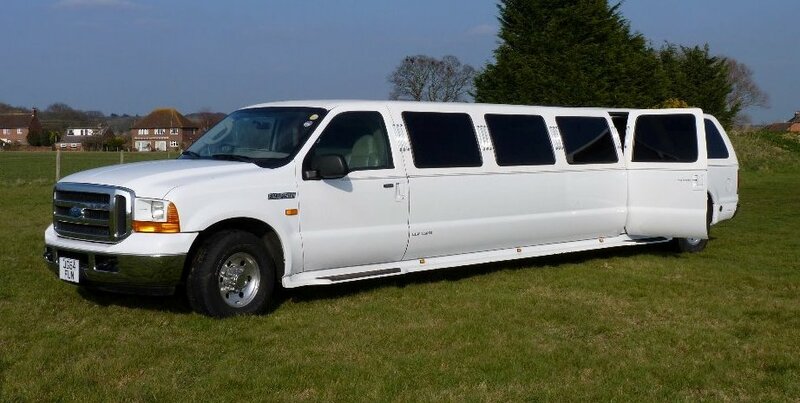 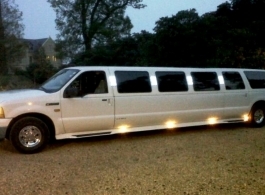 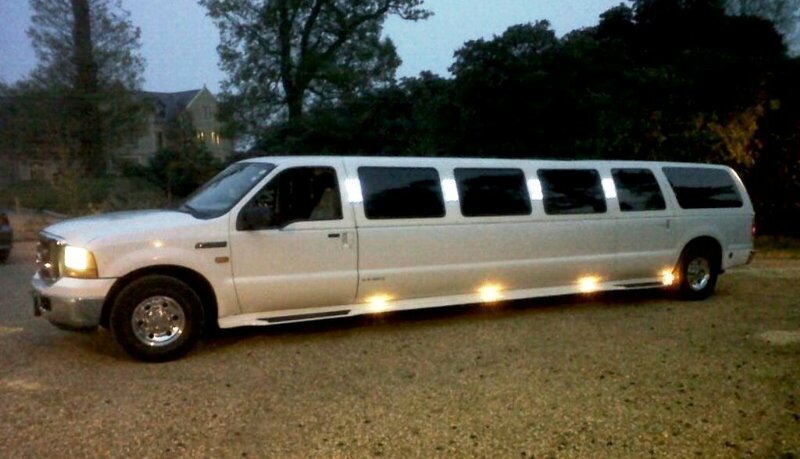 This Ford Excursion is a massive stretch limousine capable of seating up to 13 passengers in comfort and style. 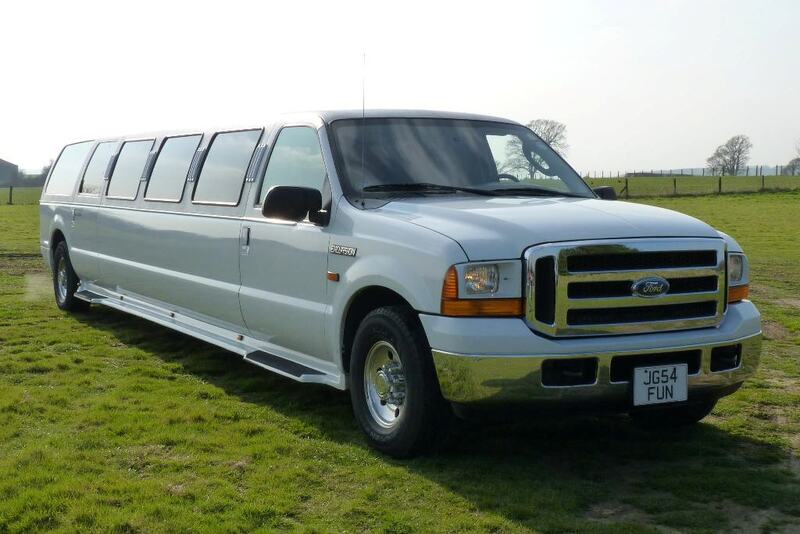 Ideal as a wedding limousine and also perfect for hen and stag nights, birthday celebrations, trips into London etc. 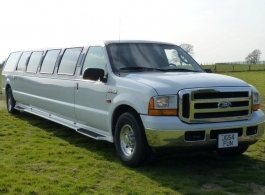 20" chrome wheels, DVD, CD, karaoke, laser & strobe lighting, full length bar with numerous lights - a truly outstanding limousine for weddings and all other occasions. 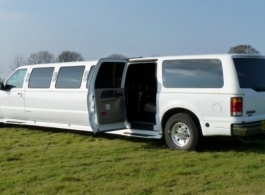 Operating Area: Local to Tenterden at base price, will travel further afield.